Our finalized Tesla estimates are now posted in the Plug-In Sales Scorecard. ***UPDATE: As anticipated, Tesla surpassed 200k U.S. deliveries. The automaker updated its Support page for Electric Vehicle incentives. 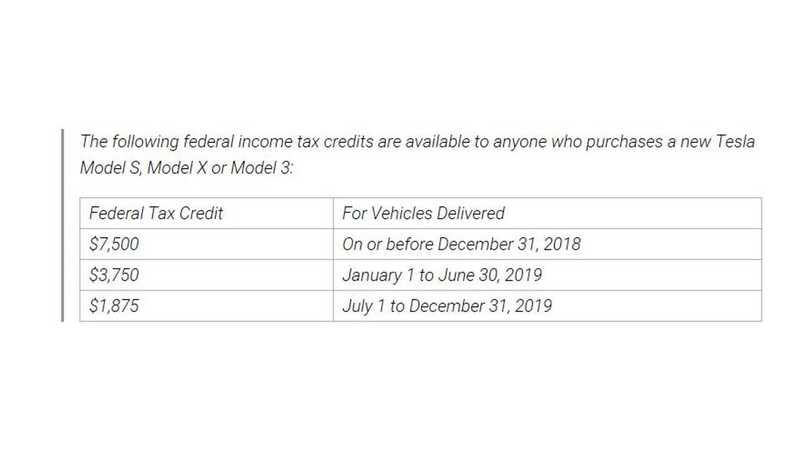 According to the automaker's website, the full $7,500 credit will be available to those who take delivery on or before December 31, 2018. It seems it took Tesla and the IRS a few weeks to iron out exactly how the situation would play out. Sadly, we'll probably never know for sure what date the automaker delivered its 200,000th vehicle in the States. We've been in touch with Tesla via phone and email over the course of the last several weeks as we tried to provide the information to the public. However, we still haven't received a statement directly. Electrek claims to have official confirmation from Tesla that the threshold was crossed this month, although at this point, with the update to the automaker's website, the date is irrelevant. When most of us think of a vehicle being "sold" or "delivered" in our industry, it typically means the paperwork is signed, down-payment is made and the buyer has taken the vehicle home. This is how automakers refer to deliveries in their monthly or quarterly numbers. This is how we report these sales/deliveries every month in our monthly Plug-In Sales Scorecard. The below quotes from government websites are generally what one would find in an article related to the federal electric vehicle tax credit. 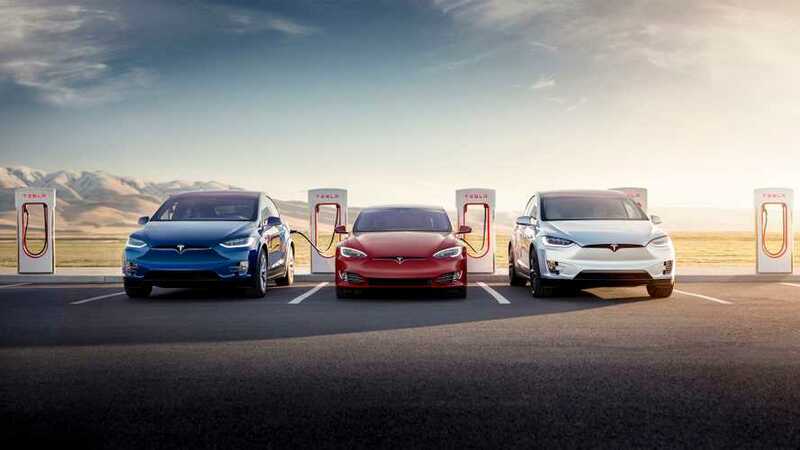 This tax credit will be available until 200,000 qualified EVs have been sold in the United States by each manufacturer, at which point the credit begins to phase out for that manufacturer. However, some sharp readers in the InsideEVs comment section alerted us to the fact that the IRS might not think of 'sold' or 'delivered' in the same way we do. The IRS is very particular about whether or not the buyer actually has the title of the vehicle in their possession. Simply taking the car home does not mean you have it in your possession for the purposes of the tax credit. It was also pointed out to us, title transfers can take time and different states have different requirements on the time frame for completing the transfer. I have absolutely no experience in this area. Luckily, I had an inside source that deals with new vehicle title transfers every day: my wonderful wife. I relayed the situation to her and asked her about how long it takes to complete a title transfer here in Texas. "It depends on a lot of factors," she said. "But for new vehicle title transfers from a dealership or Tesla it generally takes 2.5-3 weeks for the complete process. Sometimes a bit longer." This may complicate things once the phase-out officially starts, however. The same language of "acquired" is also used when deciding how much of the credit a vehicle is eligible for. Hypothetically, it might be possible for someone to purchase a new vehicle during the final month of the 100% credit phase-out period but not get the full credit. If the title transfer is not completed by the end of the month, the vehicle might only be eligible for the 50% credit. During the phase-out period, this may lead to lower deliveries at the end of every other quarter. The new qualified plug-in electric drive motor vehicle credit phases out for a manufacturer’s vehicles over the one-year period beginning with the second calendar quarter after the calendar quarter in which at least 200,000 qualifying vehicles manufactured by that manufacturer have been sold for use in the United States (determined on a cumulative basis for sales after December 31, 2009) (“phase-out period”). A manufacturer (or, in the case of a foreign vehicle manufacturer, its domestic distributor) that has received an acknowledgment of its certification from the Service must submit to the Service, in accordance with section 6 of this notice, a report of the number of qualified plug-in electric drive motor vehicles sold by the manufacturer (or, in the case of a foreign vehicle manufacturer, its domestic distributor) to consumers or retail dealers during the calendar quarter. The number of qualified vehicles sold by the reporting entity to consumers or retail dealers during the calendar quarter. Qualifying vehicles manufactured by that manufacturer are eligible for 50 percent of the credit if acquired in the first two quarters of the phase-out period and 25 percent of the credit if acquired in the third or fourth quarter of the phase-out period. Vehicles manufactured by that manufacturer are not eligible for a credit if acquired after the phase-out period. This notice also amplifies Notice 2009-54 and Notice 2009-58, I.R.B. 2009-30 163 (relating to the plug-in electric vehicle credit under § 30) to provide that a vehicle is considered “acquired” when title to that vehicle passes under state law. In either event, or in the event that the manufacturer (or, in the case of a foreign vehicle manufacturer, its domestic distributor) makes an erroneous quarterly report, the manufacturer’s (or, in the case of a foreign vehicle manufacturer, its domestic distributor’s) right to provide a certification to future purchasers of the new qualified plug-in electric drive motor vehicles will be withdrawn, and purchasers who acquire a vehicle after the date on which the Service publishes an announcement of the withdrawal may not rely on the certification. (b) Under § 6701 for aiding and abetting an understatement of tax liabilityin the amount of $1,000 ($10,000 in the case of understatements by corporations) per return on which a credit is claimed in reliance on the certification. Steven and I still aren't 100% convinced that Tesla would knowingly cross this threshold for a mere 5,000 units sold. So we chose to hold off on publishing the numbers in our sales chart and reached out to Tesla for comment. Despite getting in touch with Tesla more than once, we never received a confirmation. But we also were not given a denial or correction as would usually happen. We are not certain what interpretation is the most correct. We at InsideEVs are not tax specialists, lawyers or government bureaucrats. However, it was brought to our attention in our article on Monday that Ford's numbers (as reported by the IRS) did not match up with our sales reports. This is unusual since we receive our monthly numbers directly from the Ford rep. There is no reason for our numbers to not match. In researching other automakers that directly report through the IRS, we've found that the automakers' total number of electric vehicle sales to date is much higher than what is showing on the IRS website. However, if the numbers are in fact based upon the title acquisition both for the "sale" and for the "acquisition" then this would perfectly explain the discrepancy. If this interpretation is not correct, keep in mind that historical estimates going back 7+ years will not be 100% accurate. And based on other automakers numbers reported to the IRS, there is clearly a difference or delay between delivery numbers and those recorded by the IRS. So even though our quarterly numbers seem to have panned out as we expected them to, Tesla might not have crossed 200,000 trigger as far as the IRS is concerned. It's really within the error margin at this point. There are too many unknown variables to say with any certainty. The article mentioned some of them (historical error for U.S./Global breakdown estimates, unknown number of Canadian deliveries in Q2), but there's also the fact that what counts for Tesla as a "Q2 delivery" won't exactly match what the government counts as a Q2 "acquisition". "This notice also amplifies Notice 2009-54 and Notice 2009-58, 2009-30 I.R.B. 163 (relating to the plug-in electric vehicle credit under § 30) to provide that a vehicle is considered “acquired” when title to that vehicle passes under state law." Vehicle title transfer date may lag the delivery date, and that lag may vary from state to state. Given that it's so close, I'd like to think that Tesla would have recognized this and not shot themselves in the foot by narrowly crossing 200k in Q2. EDIT: Upon closer examination of https://www.irs.gov/pub/irs-drop/n-09-89.pdf , I'm no longer sure that the "state-dependent title transfer lag" is a factor for determining which quarter triggers the 200k phase-out period. All of the language referring to "acquiring" seems to be oriented around the buyer in determining which quarter their own personal purchase counts for tax credit eligibility purposes. But for the manufacturer and the vehicle accounting for determining phase-out period, they only talk about "vehicles sold". In other words, the IRS seems to be relying on the manufacturer's filings directly (not the states) for determining which quarter to begin the phase-out period, but will use state title transfer dates when determining an individual person's eligibility for the credit? Tesla has until July 31st to file their quarterly report to the IRS. So we may be stuck in the dark for another month. *Keep in mind, regardless of this analysis, we cannot guarantee anything until Tesla or the IRS makes an official announcement. Even at the time of this writing, others that originally supported this same type of explanation are second-guessing it and sharing on Reddit and other related forums, as shown above. This is still due to the IRS language not being abundantly clear with regards to the words "sale" and "acquisition," as well as whether these words apply to Tesla, the buyer, or both.